For any enquiries please use our contact form or number and we will get back to you as soon as possible. D.R. Lock Restoration and Repair are dedicated to providing an exceptional traditional service for the restoration and repair of antique and prized safe/property door locks and keys. We are specialists in the manufacture of bespoke and replacement parts for obsolete locks and also manufacture cut-away embellished display locks for collectors and for education purposes in the lock and safe industry. We specialize in working with private customers, discerning collector, antiques dealer, properties, museums and safe technicians throughout the UK and USA. 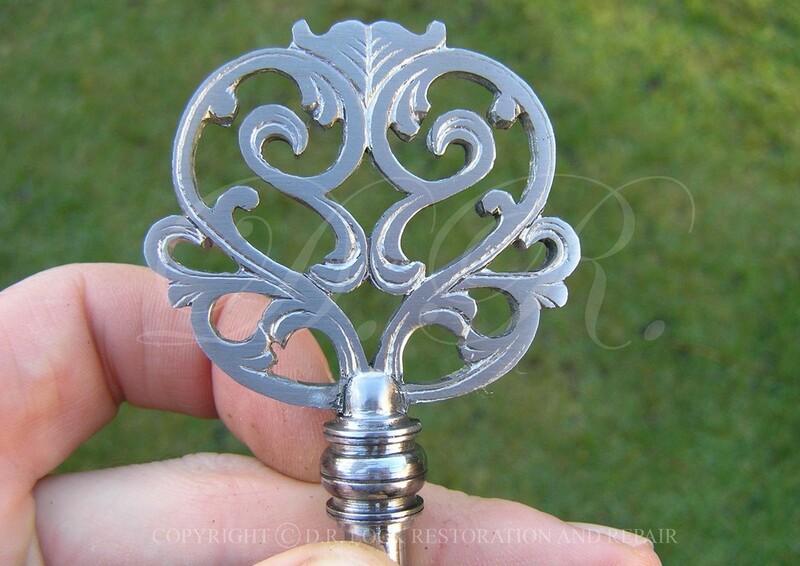 Employing specialist skills, techniques and processes lost by modern methods, we are able to skillfully restore and manufacture keys and many component parts for locks of historic significance, such as rare and patent examples highly sought after by museums, collectors and historic private property owners. If you have a very special lock from your personal collection that requires attention, or require refurbishment and/or repair services for an antique lock still in service today, then look no further.. We offer a very high standard of craftsmanship and expertise. Take a tour through our website to find out more about our products and services. We are here to help and just a call or email away.. 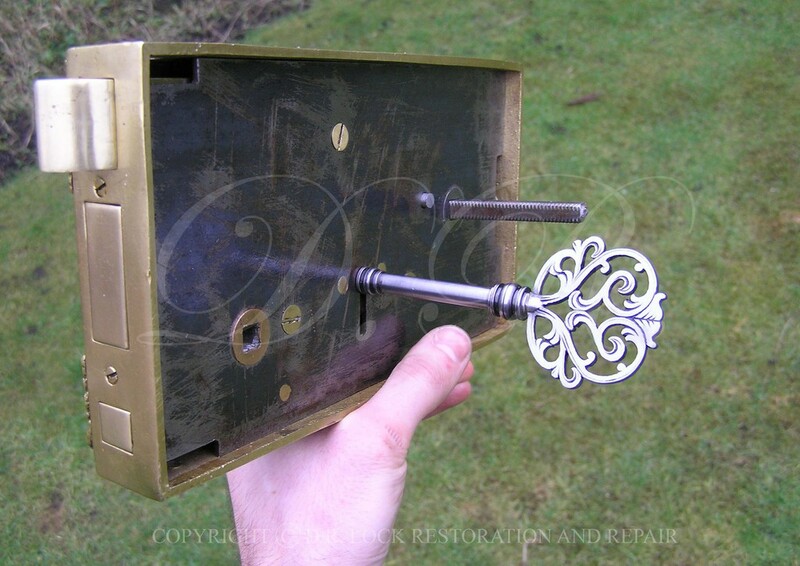 Whether you require refurbishment or repair of an antique door lock for a period property; repair to a quality old or newer safe lock for a collection or for service; or a bespoke presentation key for a special occasion, then look no further.. You are in the hands of the experts! Grinding, polishing, machining, soldering, brazing and welding of components to miscellaneous antique metal work. 2) Quick efficient turn around. Please use our contact form at any time if you prefer emal contact, and we will get back to you as soon as possible; usually within 24 hours. Thank you. *The more information you provide, the more accurately we will be able to establish a price. We will also require photographs in some cases to get a better understanding of the work involved and overall condition of the item. Simply get in touch via our contact form with initial query and you will then be able to attach and send pictures once we have replied to you. Alternatively, you can get in touch via our contact number and we will attend to your queries as soon as possible. For more information please refer to our contact page. 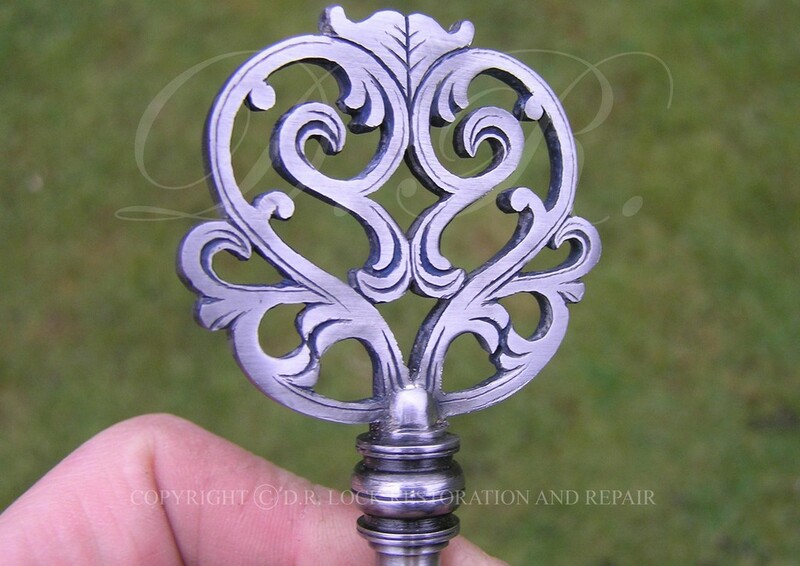 Everything from restoration and repair of quality locks and keys, to bespoke ornamental metal work and hand-made presentation keys for special occasions. to broken/worn components in Brass and steel/Iron. Church style bridge warded rim door lock Victorian fully refurbished with flat Black paint. Missing latch made specially to suit and replacement keys made. Brass front plate and drop handle polished to a mirror finish. Refurbished property rim door locks Victorian and Georgian. Keys made specially and any missing major parts such as latches or bolts made specially to suit the locks. 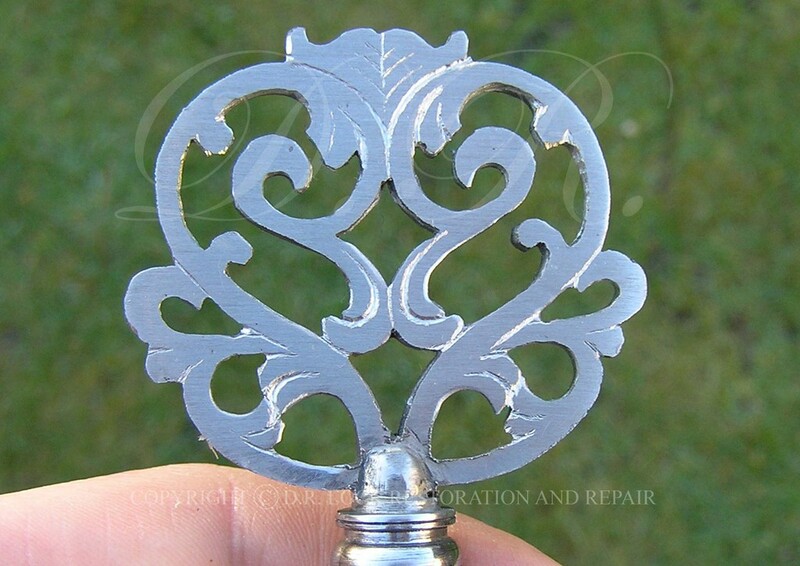 Repairing, restoring and replacement parts manufacture allows the customer to retain their original locks and associated furniture important especially in the case of listed buildings where modification of doors etc for new locks is either unacceptable or not preferred. 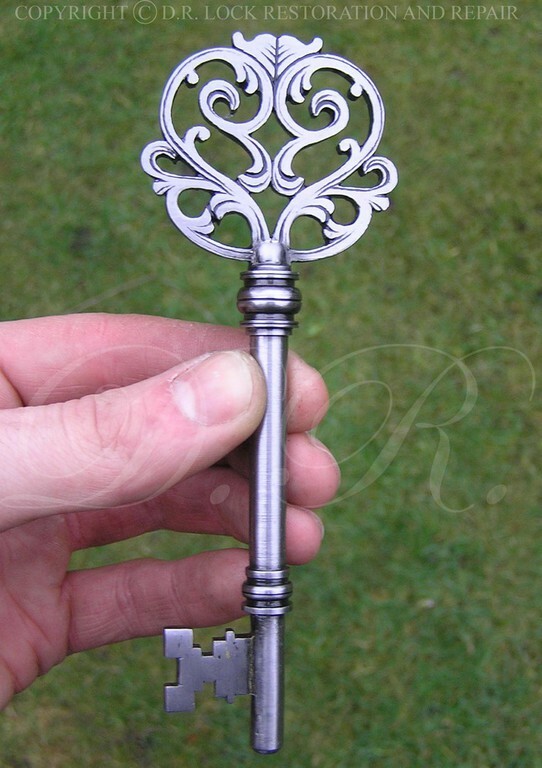 Bespoke manufacture of a hand made ornate Steel pierced and engraved key for a large Brass cased Gibbons rim door lock. Bespoke made 8 inch overall length "bridge ward" keys for a large rim door property lock. Traditionally hand made from 3 parts each, brazed up and finished to a high standard. Special slip bit design ensures maximum strength to the key once cut. Heavy duty design and construction. Large bespoke made Bridge Ward keys produced for a large Georgian locking latch rim door lock. The keys are approximately 6.25" overall length. Made traditionally by hand and chiselled to profile. Strong keys made from three parts Brazed up via Oxy-acetylene. Dark patina created on the keys surface to look aged. Hand made presentation keys and hand cut and embellished display locks for the collector and educational purposes. Hobbs anti-violence lock cutaway and embellished by us. Each lock is skillfully stripped down, cleaned, embellished, cut-away, painted and mounted in our workshops. Our craftsmanship is traditional; we only use hand saws to cutaway locks. 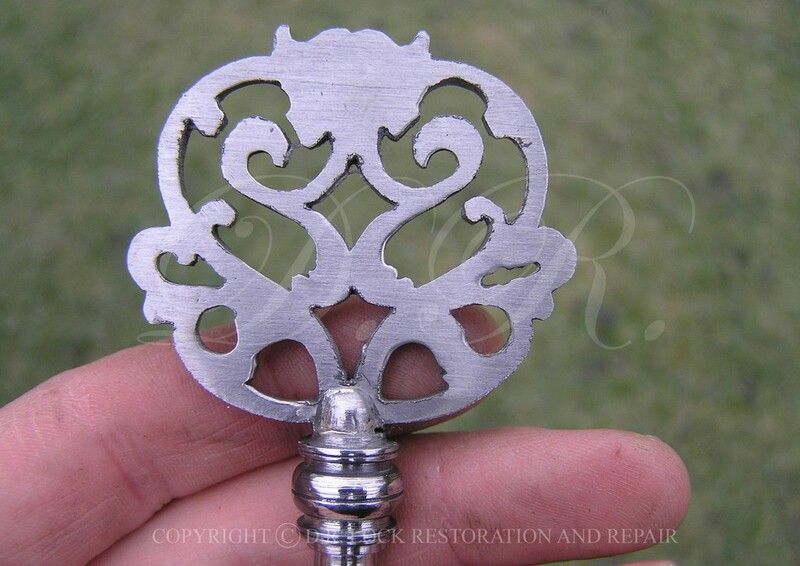 We have over 60 years of experience and expertise in restoring and repairing quality antique locks, safe locks and traditional ornamental metal work. 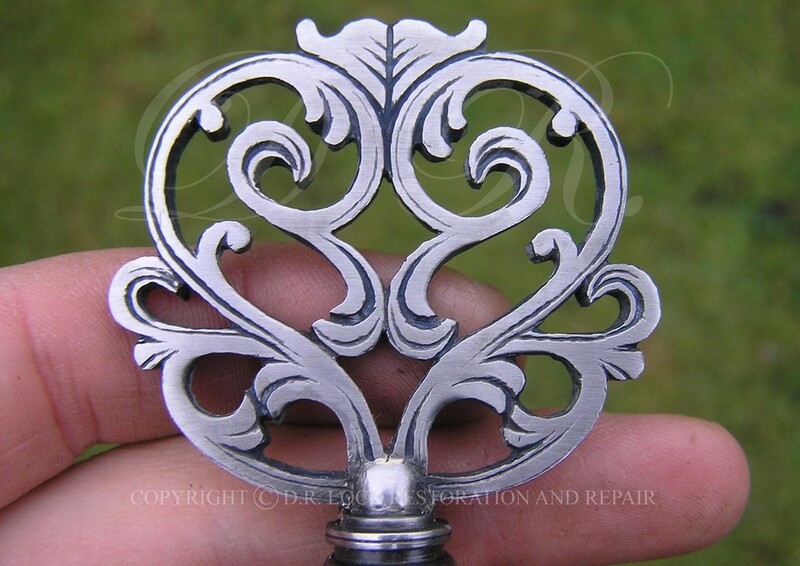 From basic services such as light refurbishment of locks and ornamental metal work, to full major restoration, parts manufacture and repair of prized locks from collections and period property; you can rely on our experience, knowledge and craftsmanship at D.R. 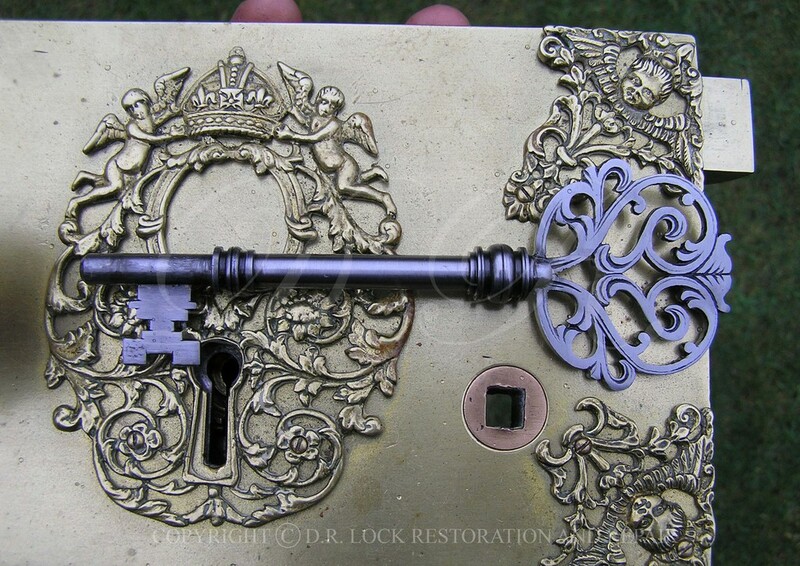 Lock Restoration and Repair.